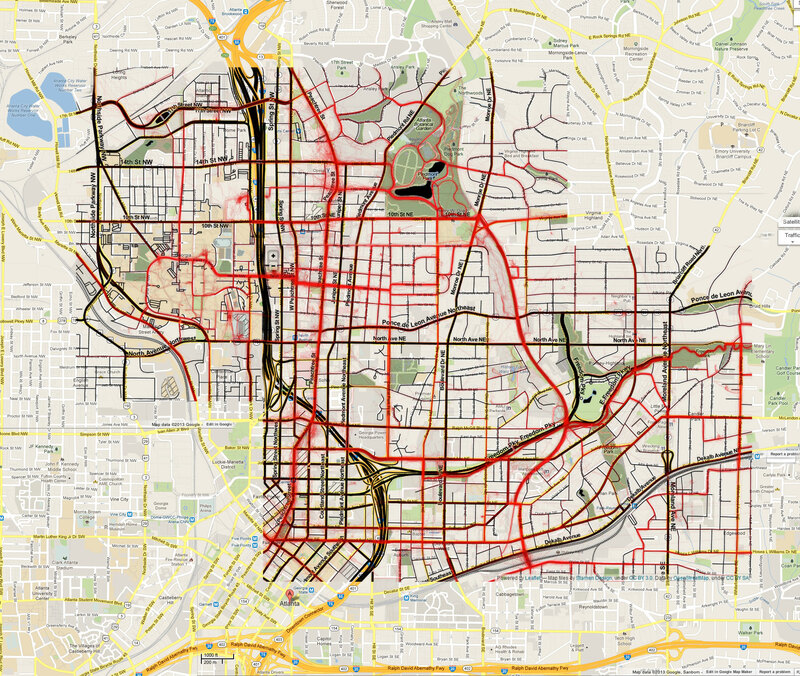 The first data dump from the CycleAtlanta App recently became available to the public, but we thought it was a little hard to tell which streets were which since only a few of them were labeled. Here, we have combined the cycling data map with a few screen shots off Google Maps. Ryan is owner operator at Streets of Atlanta Promotions and Student Innovation Fellow at Georgia State University. His previous work includes Transportation and Sustainability Outreach at Central Atlanta Progress, and small business marketing and advertising. Email him at ryan[at]streetsofatl.com or follow on Twitter @streetsofatl. Thanks for stopping by! Dedicated to helping small to medium sized businesses with their marketing and advertising needs.